Chronology of Shiga Prefecture’s major and interesting news headlines for May–August 2016 (according to the year, month, day, and time posted at GMT). Originally posted on Twitter under Shiga Headlines by Philbert Ono. Twitter posts are limited to 140 characters including spaces and links (shortened by Twitter). Dates and times below are based on GMT instead of Japan time. 2016/5/3 8:59 Beware of bears while hiking in the Suzuka mountains along the border with Mie Pref. Bears have been spotted in Taga. 2016/5/12 20:51 Biwako fishermen numbered 2,926 in 1968 and only 687 in 2013. 57% age 65 or older. Help now available to those wanting to become fishermen. 2016/5/15 12:14 Topaz has been designated as Shiga’s official stone/mineral. 2016/5/15 12:25 Memorial service marking the 25th anniversary of the fatal May 14, 1991 collision of a Shigaraki Kogen & JR train was held at the crash site. 2016/5/25 3:31 King Liu of Taiwanese bicycle maker Giant cycled along Biwako from a Giant shop at Laforet Biwako in Moriyama to promote lakeside cycling. 2016/5/31 15:12 Memorial service was held on the 1st anniversary of the fatal giant kite crash in Higashi-Omi. Still no talk about continuing the festival. 2016/6/3 12:28 Due to excessive lead levels detected on May 18, incinerated waste from Ritto is being rejected by a Kobe garbage dump. 2016/6/3 12:33 Stressed by power harassment by a superior for a year, an Otsu City Hall worker in his 40s overdosed on tranquilizers & died in March 2015. 2016/6/5 3:19 Weather bureau announced that the rainy season started yesterday in Shiga (Kinki Region), three days earlier than usual. 2016/6/8 15:04 Ritto City Hall social welfare case worker Fujikuma Toshihiro (33, 藤熊俊宏) arrested for exposing himself to high school girls on a Kyoto train. 2016/6/9 17:25 Age 40 Enryakuji priest verbally reprimanded for hitting and injuring three younger priests earlier this year. One victim broke his eardrum. 2016/6/12 12:37 Hikone-native sprinter Kiryu Yoshihide (20) couldn’t break the 9-sec. barrier at a college meet in Hiratsuka with 10.1 sec. in the 100 m.
2016/6/14 12:32 For the 2020 Tokyo Olympics, Shiga & Otsu will be the host town for Denmark’s rowing team & Maibara will host New Zealand’s hockey team. 2016/6/20 22:57 Miyagino Stable held sumo practice in Nagahama on June 17–20. On the 19th, local people could see Yokozuna Hakuho & others practice. 2016/6/22 20:11 Opened in 1974, AL Plaza Otsu (Heiwado) at Otsu Station closed on June 20. To be replaced by a condo with a supermarket on the lower floors. 2016/6/25 13:17 Japan National Championships today saw Kiryu Yoshihide place 3rd in the 100 m finals (10.31 sec. ), earning him a slot at the Rio Olympics. 2016/7/13 11:45 Hikone, Maibara, and Nagahama will have a booth at Taiwan’s largest Japan tourism expo (“Touch the Japan”) to be held July 17–20, 2016. 2016/7/13 11:51 As of June 30, Hikone Castle received donations from visitors totaling ¥896,888 for Kumamoto Castle. The total has been given to Kumamoto. 2016/7/14 3:36 Lake Biwa Museum reopened today for their 20th anniv. after major renovations that include new exhibits like a Baikal seal from Lake Baikal. 2016/7/26 0:57 In Otsu, a man (21) was playing Pokemon Go while driving & hit a car at a stop light causing a 3-car collision & neck injury to a driver. 2016/7/28 8:51 Ohmi High School beat Takashima 3-0 yesterday to represent Shiga at the national high school baseball tournament at Koshien this summer. 2016/7/28 14:52 Omi Jingu Shrine saw a record 402,000 visitors during Jan.–June this year, thanks to the Chihayafuru movie that hit theaters in March. 2016/8/7 14:17 Hikone Weather Bureau has issued a high-temperature warning for Shiga 8 days in a row. More hot days (35˚C or higher) expected. Keep cool! 2016/8/7 15:31 OTA Yuki all but announced his retirement after losing his first fencing match in Rio against Brazilian TOLDO Guilherme. 2016/8/13 10:00 Ohmi High School lost to Joso Gakuin 0-11 in their 1st game on Aug. 9, 2016 at the Summer Koshien national high school baseball tournament. 2016/8/13 15:56 In Rio, KIRYU Yoshihide ran 100 m in 10.23 sec. which was not enough to advance to the semifinals like Cambridge and Yamagata. 2016/8/25 14:01 New edition of Japan Post’s die-cut postcards (gotochi form card) are out. 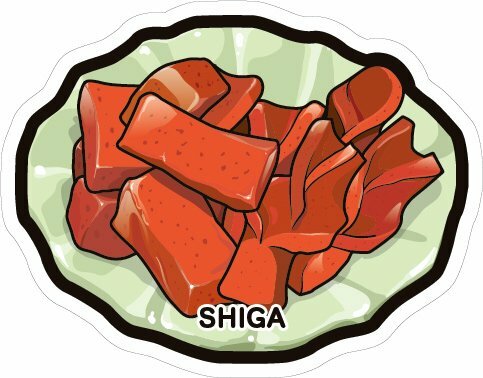 Shiga’s latest one is red devil’s tongue. 2016/8/26 1:09 Only 8.9% of CEOs in Shiga are female, lower than the 11.9% national average. 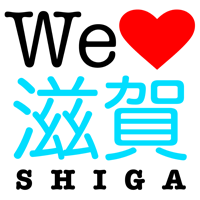 That’s 1,991 women out of 22,479 Shiga companies as of 2015. 2016/8/26 1:13 Due to a lack of rain, Lake Biwa’s water level is 43 cm below the standard level, the lowest in Aug. in 8 years. No adverse effects yet. 2016/8/29 10:45 Nagahama City Hall received a 12 pm bomb threat again by phone this morning. Everyone evacuated by 11:30 am and returned safely at 12:30 pm. 2016/8/31 12:18 A group in Nagahama is soliciting donations to build a monument for “Biwako Shuko no Uta” (Lake Biwa Rowing Song) at Hokoen Park next June.